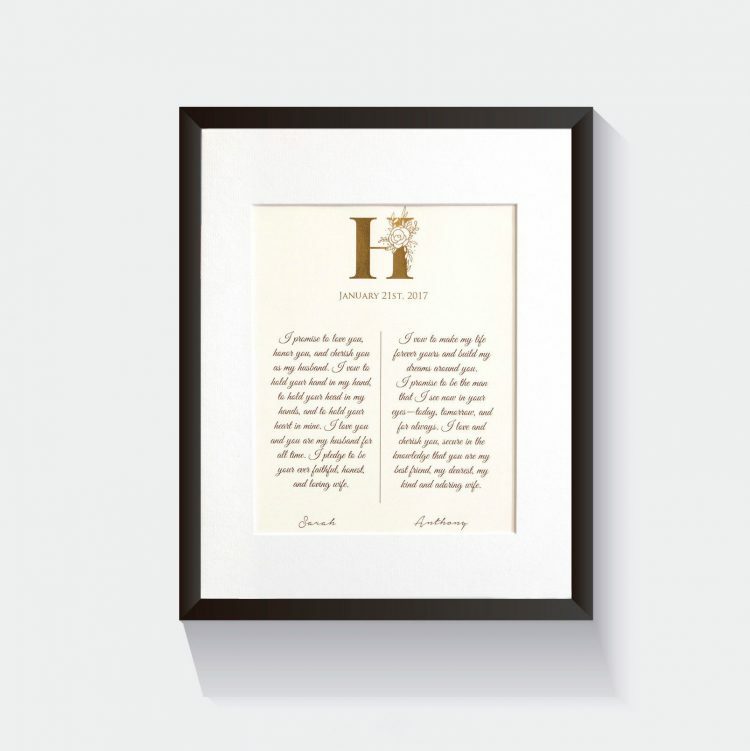 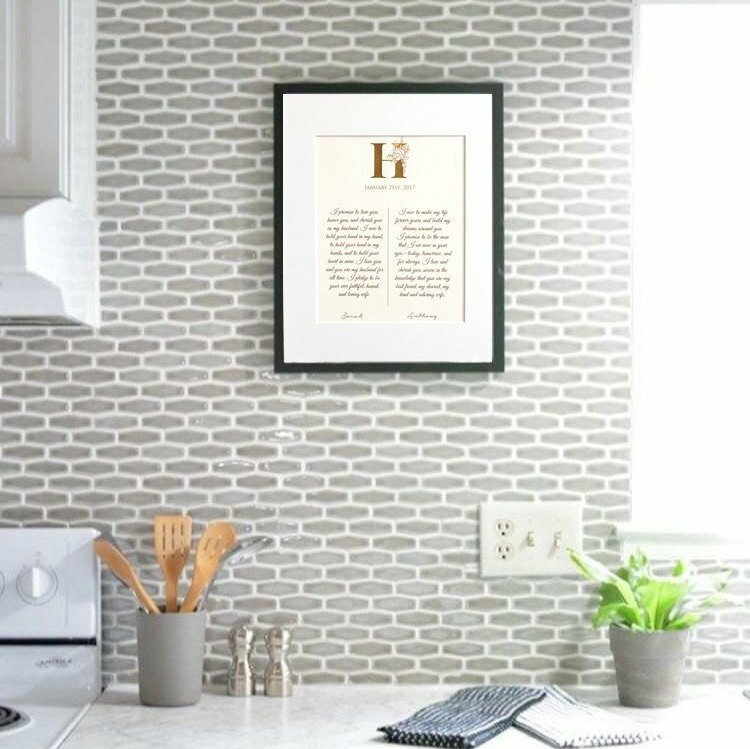 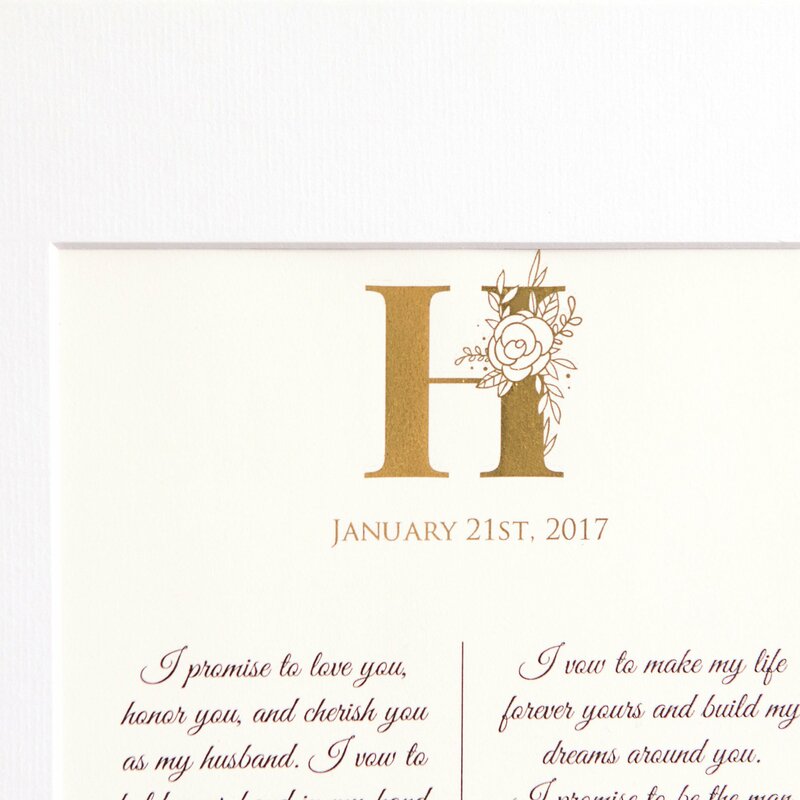 Reminisce about your wedding day and fill your home with beautiful memories with a foil print of your wedding vows! 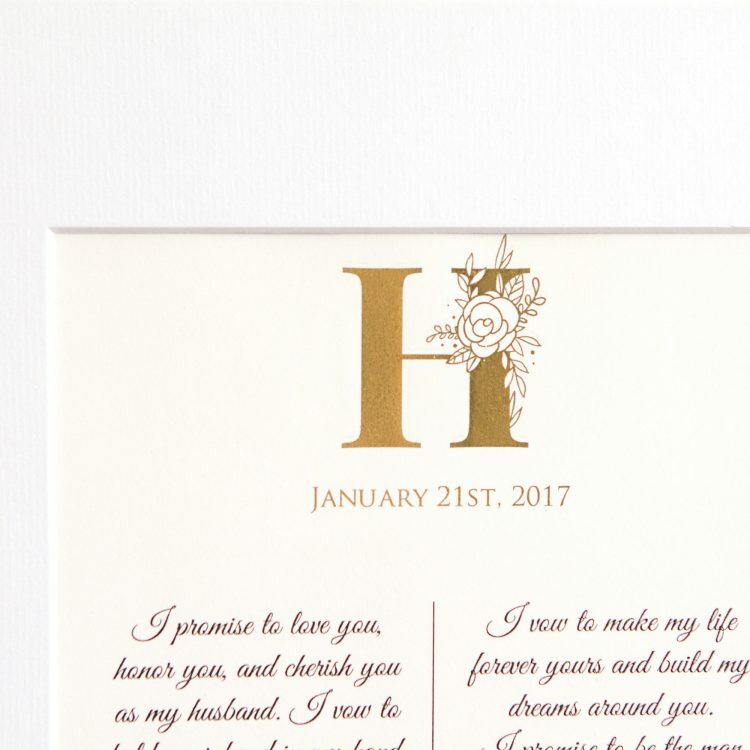 It makes the perfect first paper anniversary gift for your partner and yourself! 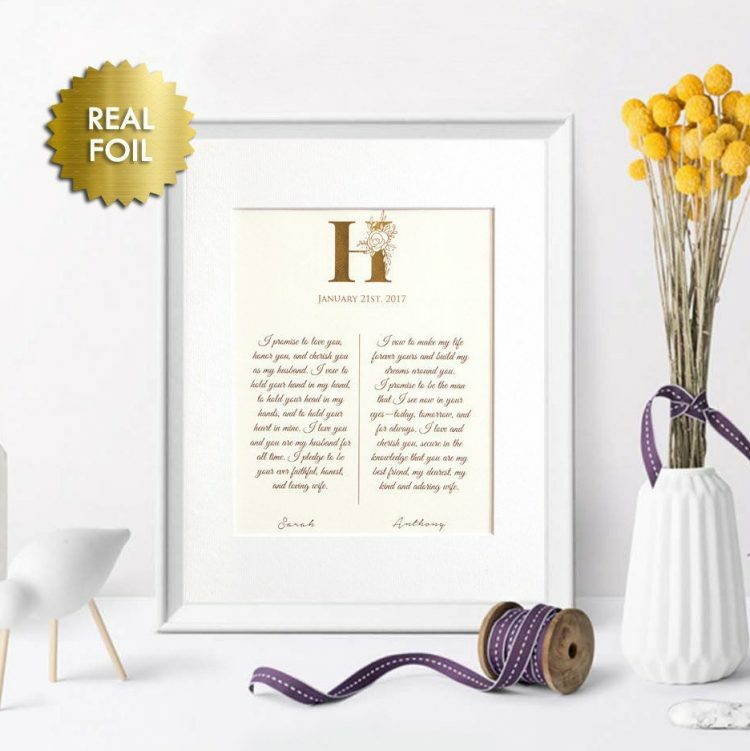 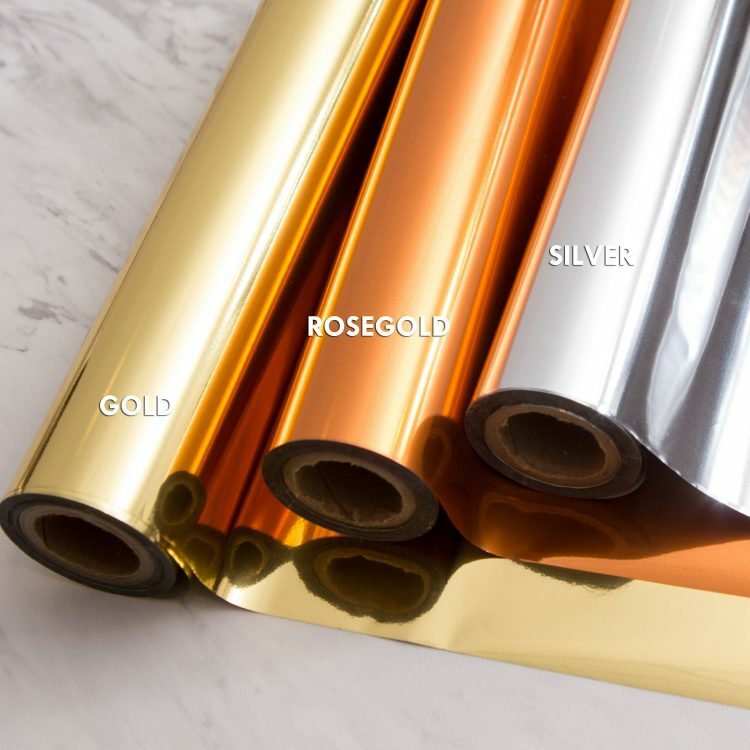 – Initial and date will be in metallic foil. 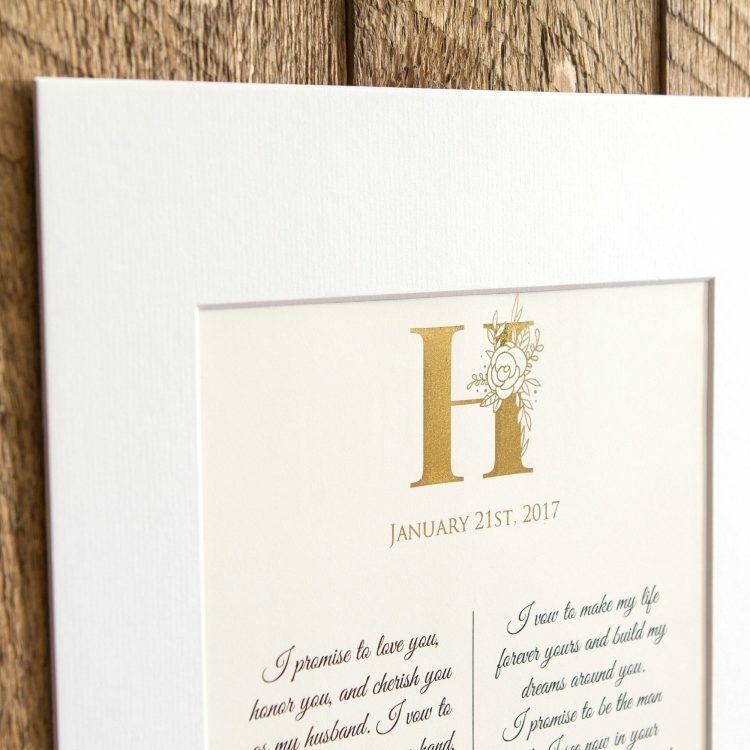 VOWS & NAMES (at the bottom) WILL BE IN BLACK. – Just send us your text after you place an order and we will send you a mock-up to review. 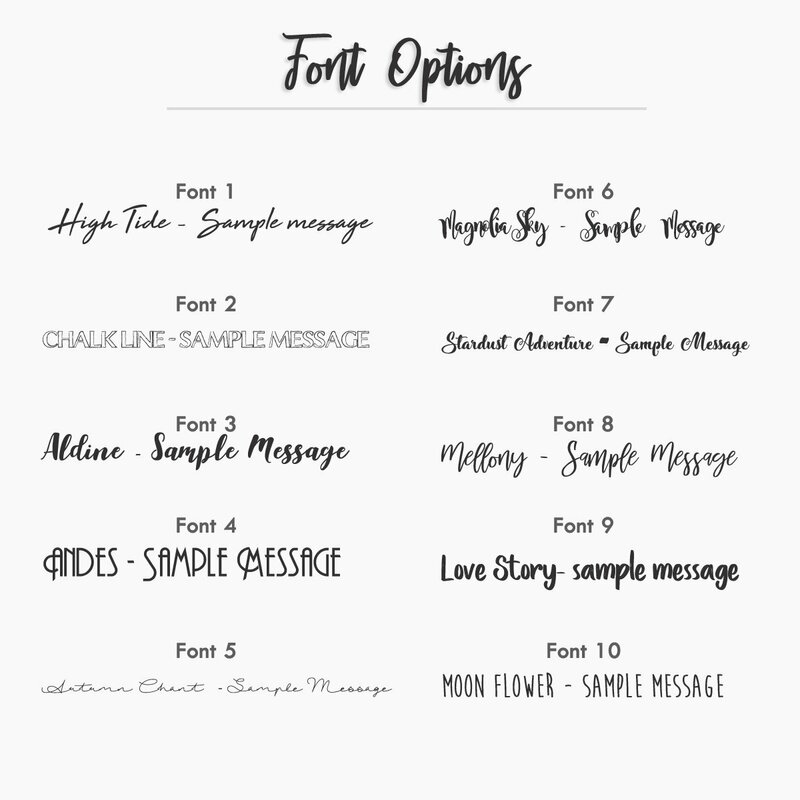 If you do not select the font we will use the default style like in the listing.